Meet us at CYTO 2018! TTP will be presenting Cellular Highways at CYTO 2018 in Parallel Session 12: Cell Sorting and also participating in the Therapeutic Cell Sorting workshop and the CYTO Innovation session. We describe the invention of a new type of fluorescence-activated microfluidic cell sorter, enabled by an inertial vortex. Like devices created by several previous research groups, ours employs an electrical microheater to create fluid motion via the microscopic explosion of a thermal vapour bubble. However, unlike the previous devices, the fluid motion does not deflect a cell directly, but creates an inertial vortex, which flows downstream with the cell, gradually pushing it into the sort channel. 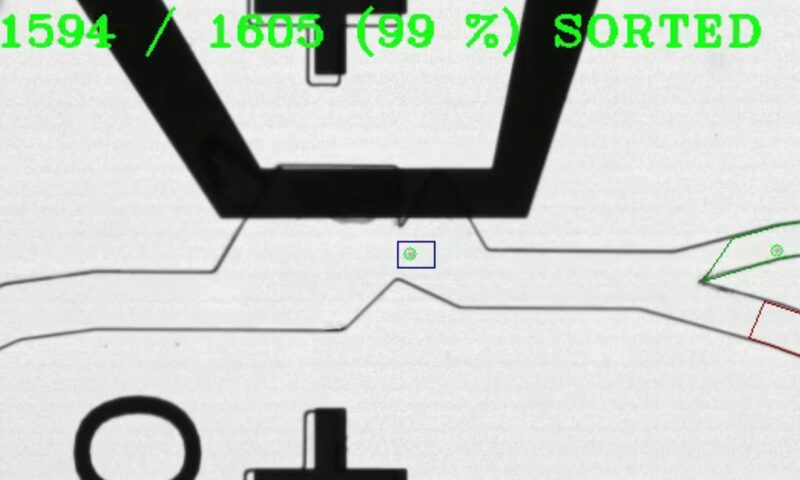 ​We have employed standard MEMS and lab-on-chip fabrication processes to create our sorter chip, and built simple instrumentation to test it: single-laser fluorescence and scattering optics for particle detection, real-time data processing on an FPGA, strobe imaging to measure individual sort events, and overall verification of sorting performance with fluorescence beads and fluorescently-labelled cells. We have also evaluated the sorter’s effect on viability of human cells via live/dead dyes and subculture measurements. ​The current design of the inertial vortex sorter, which has been tested with particles and cells of diameter 6 – 15 µm, achieves a particle deflection window of 20 µs and cell processing rates of up to 50’000/s for individual cell addressability. We have achieved peak deflection rates of 5 kHz in the current device, although we believe that 12 kHz could be achieved with optimisation. The sorter is a very compact device with a lateral dimension of 250 µm including its input manifold, actuator and all channels: as far as we know it is the smallest microfluidic cell sorter yet built. This small size is an advantage for multiplexing on chip while maintaining efficient use of fluorescence optics. ​In this presentation, the basic functionality and performance of a new technology in microfluidic cell sorting is demonstrated. The inertial vortex sorter has a number of interesting features, including the use of cheaper MEMS construction techniques and materials, the use of a much smaller vapour bubble, the absence of side-channels, and the compact size for multiplexing or lab-on-chip integration. Next PostNext Meet us at ISCT 2018!